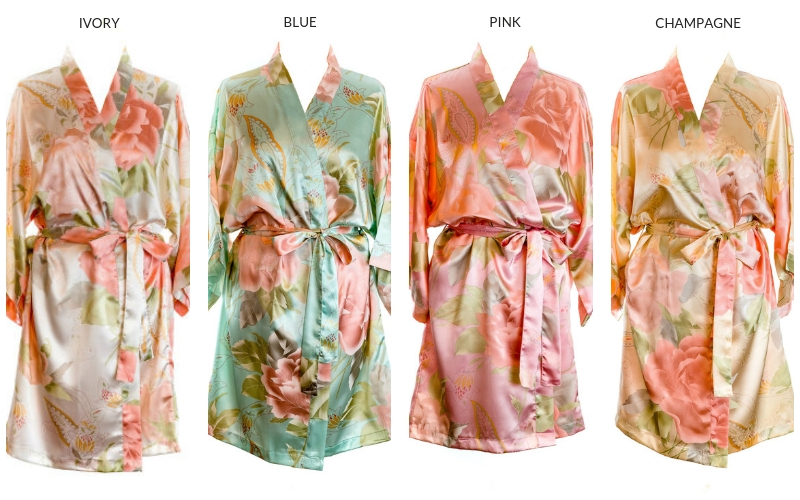 The Vintage Floral Satin Robes range has been expanded to include the colour Navy. This is in addition to the ivory, champagne, pink and blue already in the range. 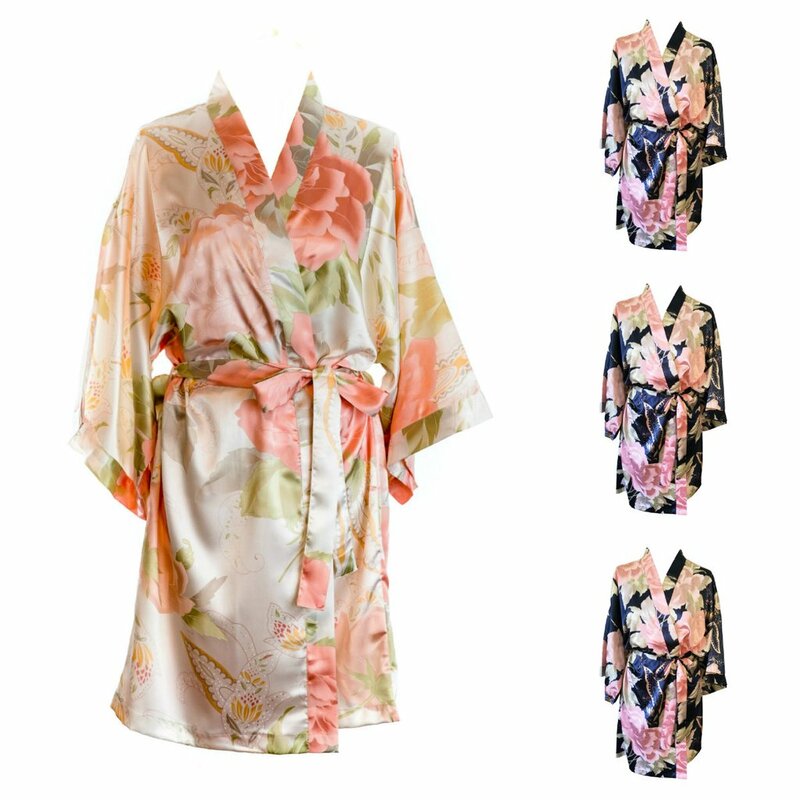 These stunning satin kimonos are very popular with brides and bridesmaids, either for wearing on the morning of the wedding, or for use on a hen weekend, so that all of your bridal party can look pretty together! 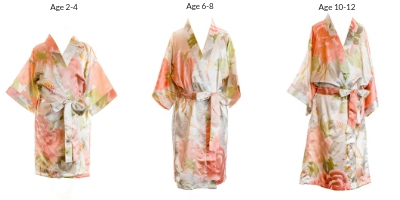 For the opportunity to purchase at a discount the vintage floral satin dressing gowns are also available in multipacks for all of your bridal party. Easy to purchase, as one size fits all. No messing around with different sizes to order.